Snowmen are not something that I can get enough of. Here's a simple version using an oval cutter with one of the longer sides trimmed off. Refer to both the photos and the video for this cookie tutorial. 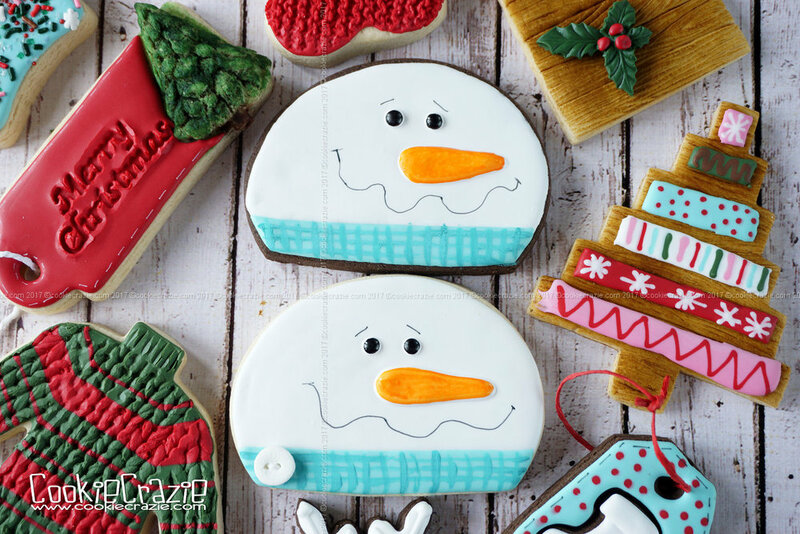 Outline and flood the entire head of the snowman with white glaze. After the initial flood layer has dried for at least 30 minutes, add eyes and a nose using the white glaze. Outline and flood the scarf layer (as seen in photos and on video) in your color of choice. Color in the eyes (black marker) and the nose (orange marker) as shown in photos and video. Using a color that is subtly different than the scarf glaze color, paint stripes over the dried scarf. (You can use straight gel or luster dust mixed with vodka). Add a cute funky smile with a fine-tipped black food color marker. I used THIS one. 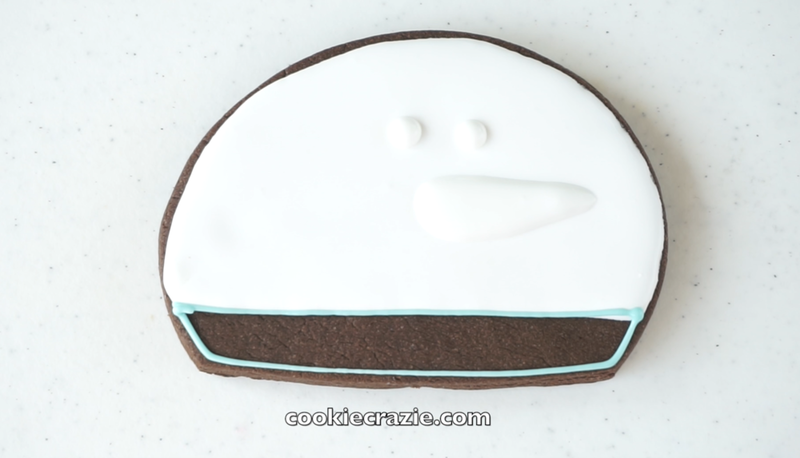 Older PostNEW CookieCrazie Online Decorating Class - CookieCrazie Basics!